Re: Khao Tom and Jok with pork broth. The Portuguese-influenced English word “congee” is a bit of a problem. 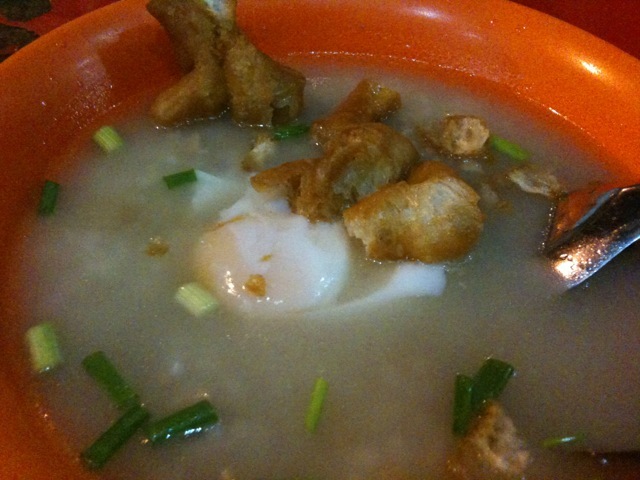 In Hong Kong, soggy rice + soup is “congee”, and Hong Kong fine soup with starchy rice liquid (and invisible individual rice grain/s) is also called”congee” in English. In Thai, the former is Khao Tom and the latter is Jok Hong Kong, which is different and more fine than Juk Taechio/Chiuchow. Glad you are back safely. I think khao tom is the ultimate comfort food. And circumstances can pivot and change direction at any time.